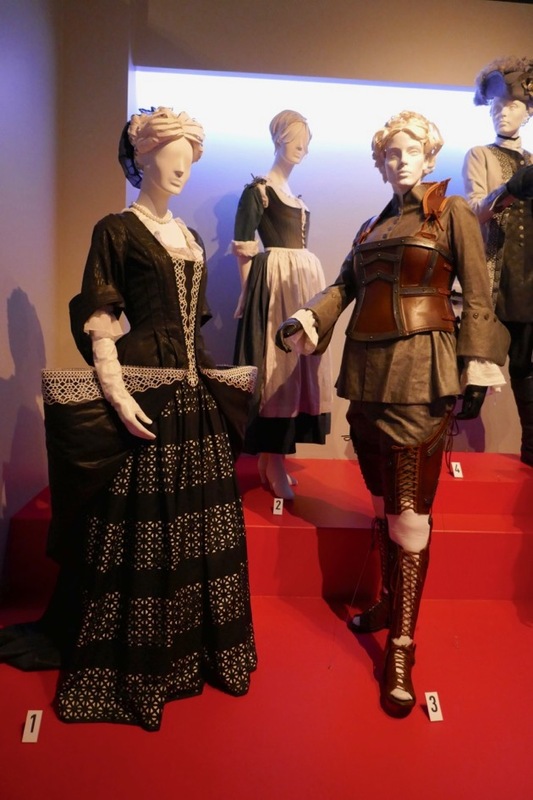 The 2019 Academy Awards are almost upon us and this past year I've been fortunate enough to costumes from most of the Oscar nominees on display when the movies were released in cinemas. 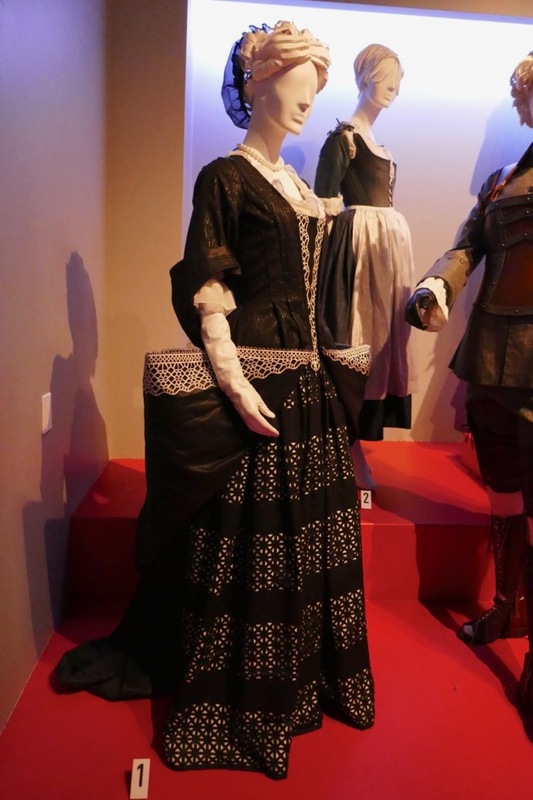 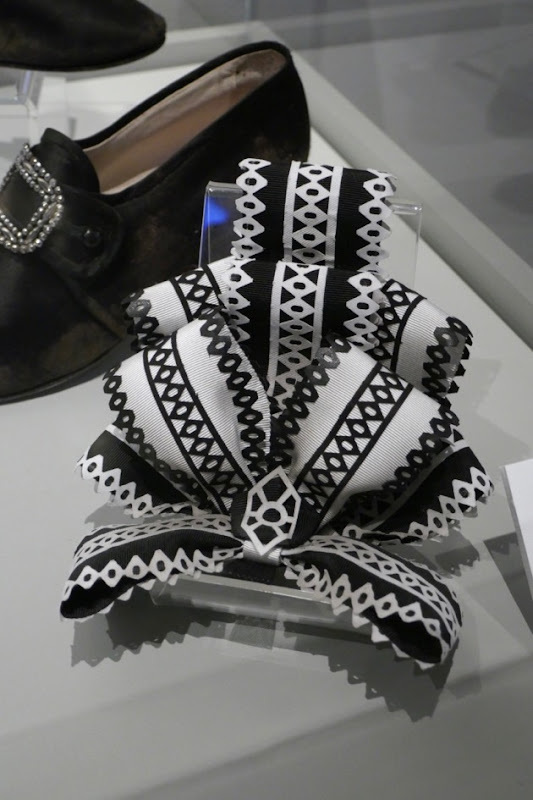 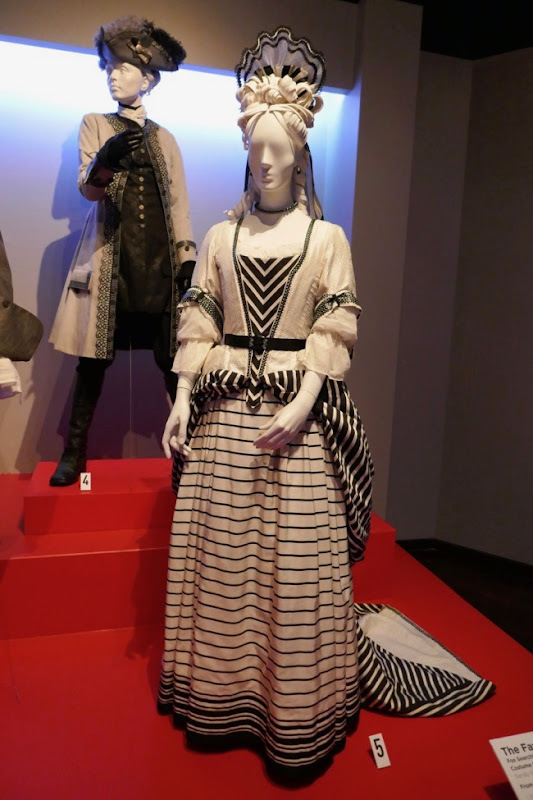 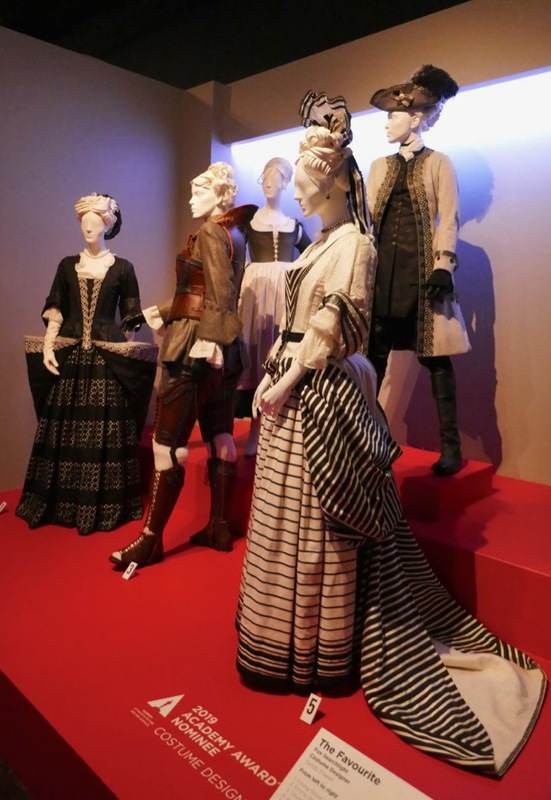 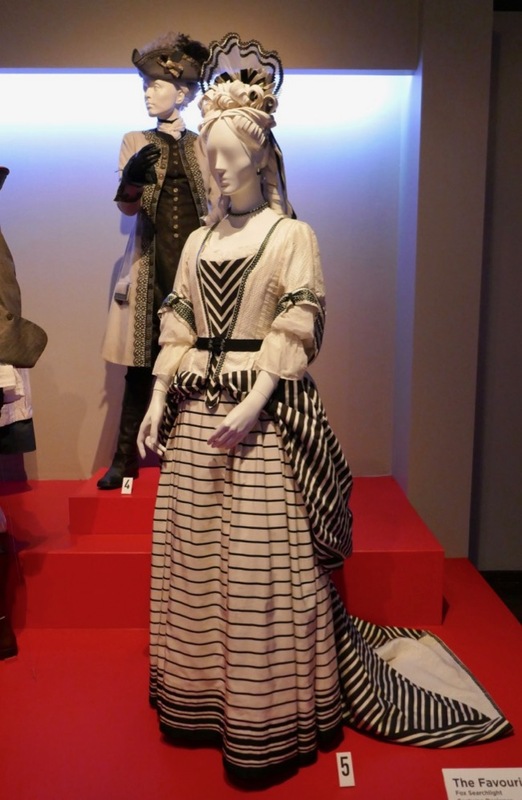 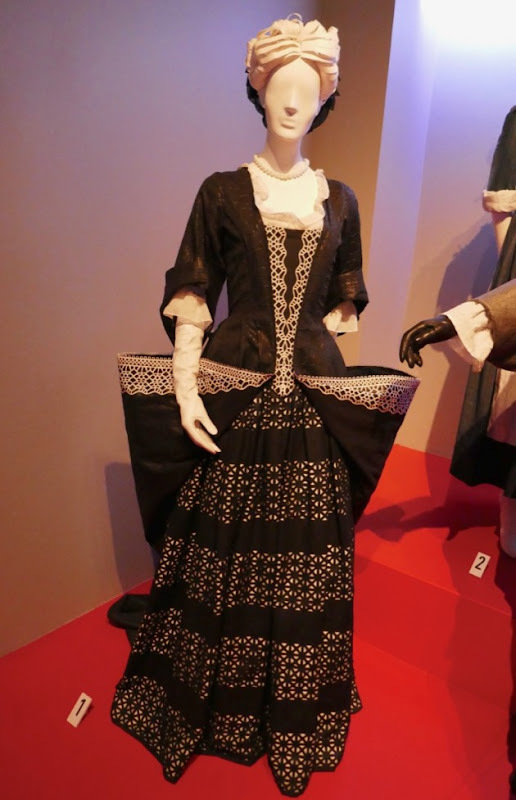 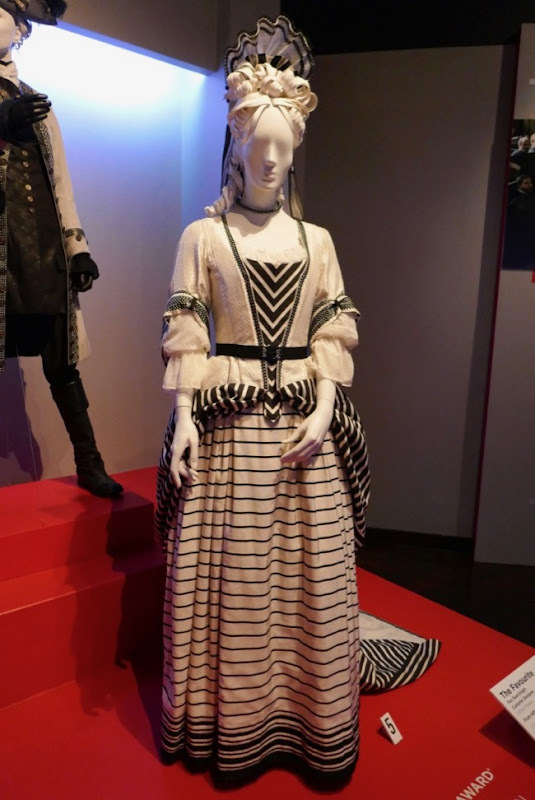 One film's wardrobe I hadn't seen in person until recently was from director Yorgos Lanthimos' period comedy-drama, The Favourite. 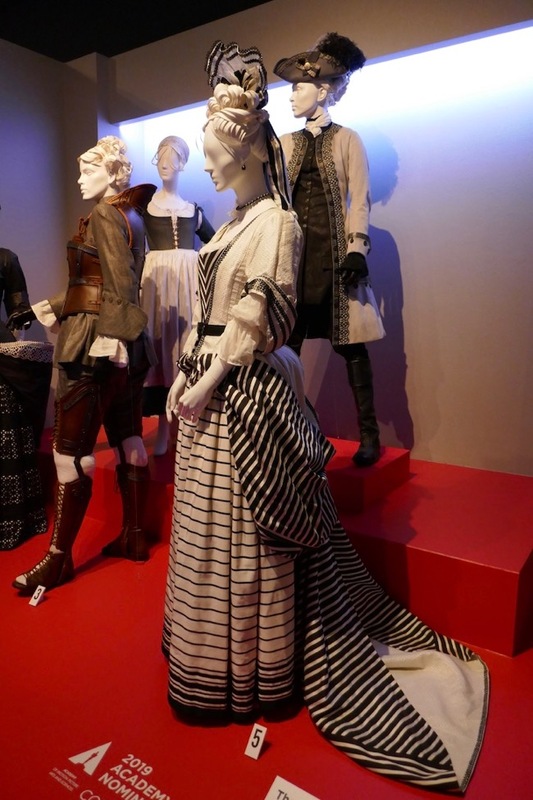 These Oscar-nominated costumes designed by Sandy Powell were photographed on display at Downtown L.A.'s FIDM Museum as part of their 27th Art of Motion Picture Costume Design exhibition on February 5, 2019. 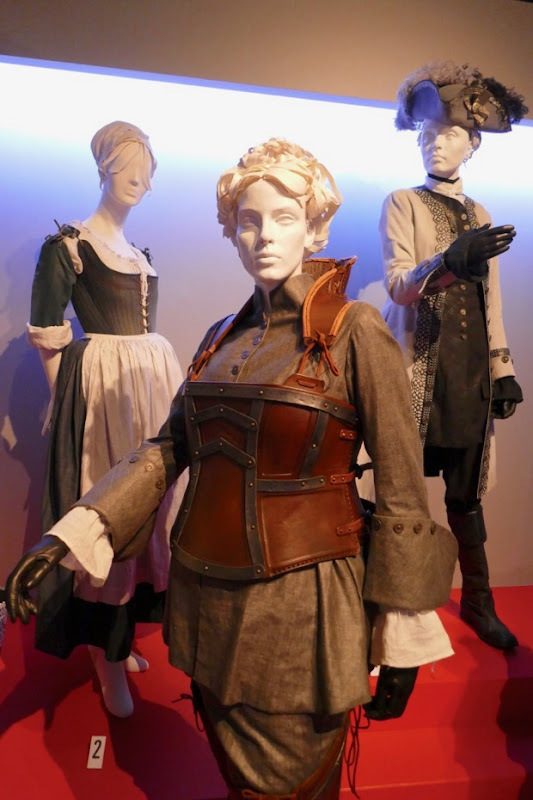 This year the Costume Designer is also nominated for her Mary Poppins Returns movie costumes and so far she has been nominated for an amazing fourteen Academy Awards and taken home three golden statues to date. 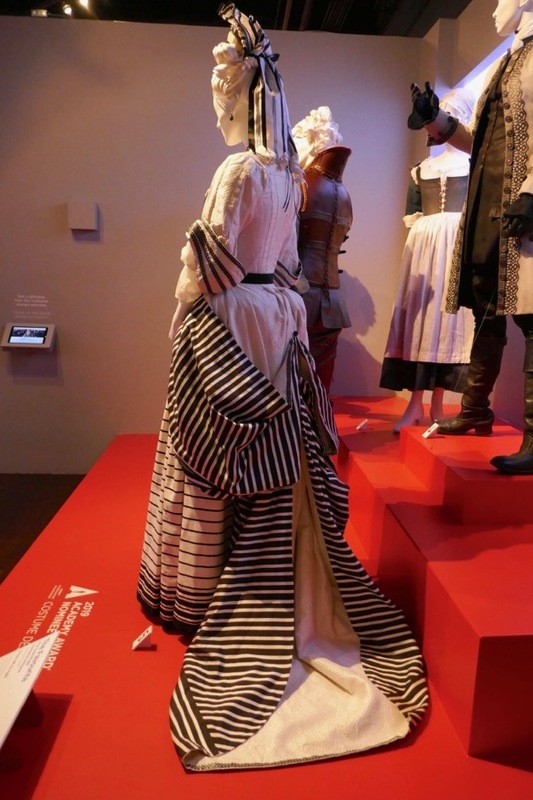 In this fresh and darkly comic take on historical royal period dramas, Emma Stone's newcomer to court, 'Abigail', vies for the attention and affections of 'Queen Anne' (Olivia Colman) with her established lady-in-waiting cousin 'Lady Sarah' (Rachel Weisz) in 1700s England. 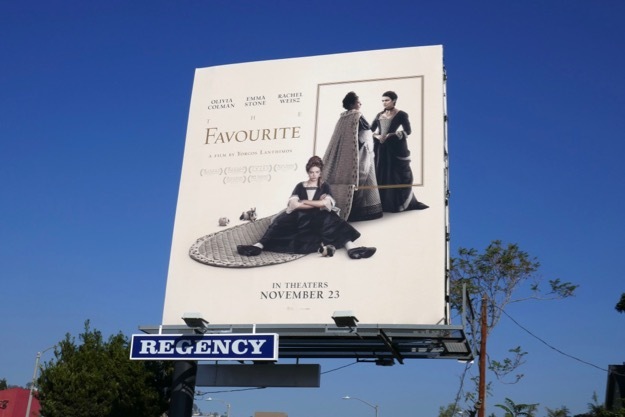 BAFTA-winner Olivia Colman plays the batty, rabbit-loving, often ill, lesbian Queen Anne, who is easily flattered and manipulated by her staff and government. 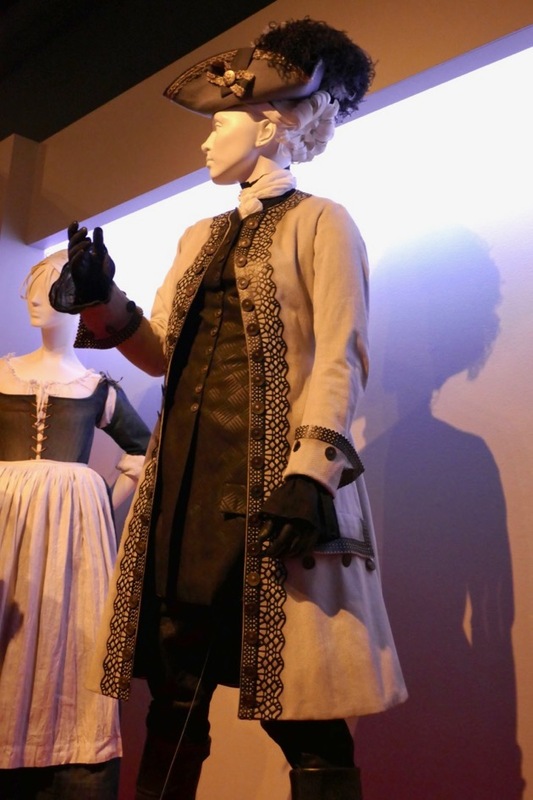 Abigail comes from a family that has fallen on hard times and travels to Queen Anne's court to ask her cousin Lady Sarah for help. 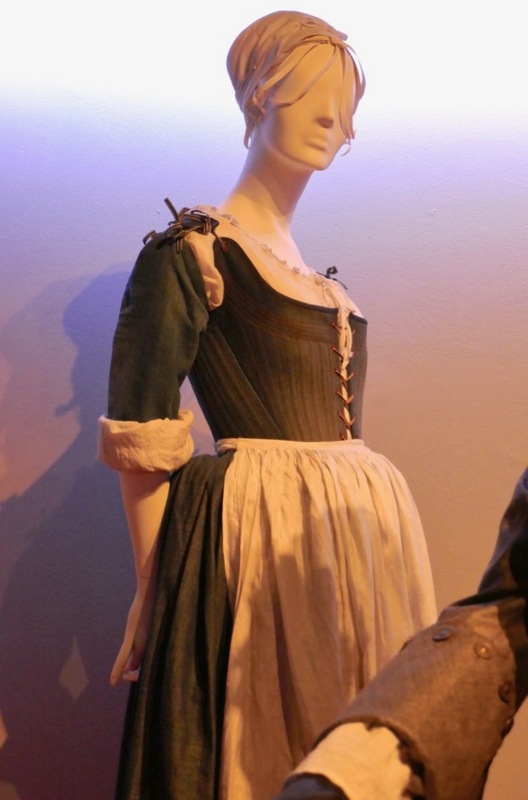 She starts as a scullery maid and using her wits and sexual wiles elevates her position in the palace to lady-in-waiting, finding the favour of the monarch. 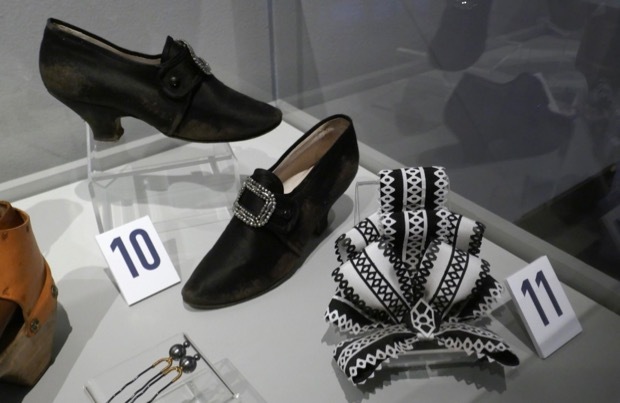 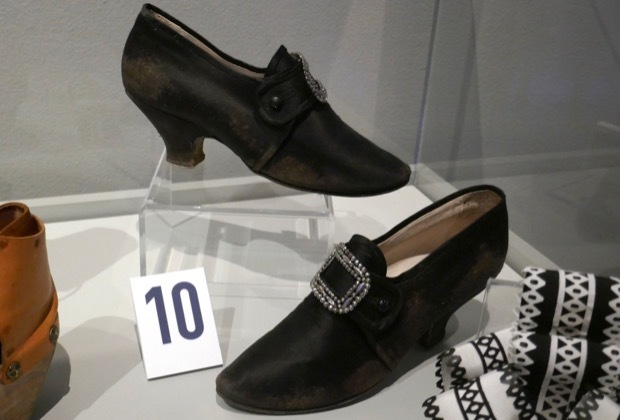 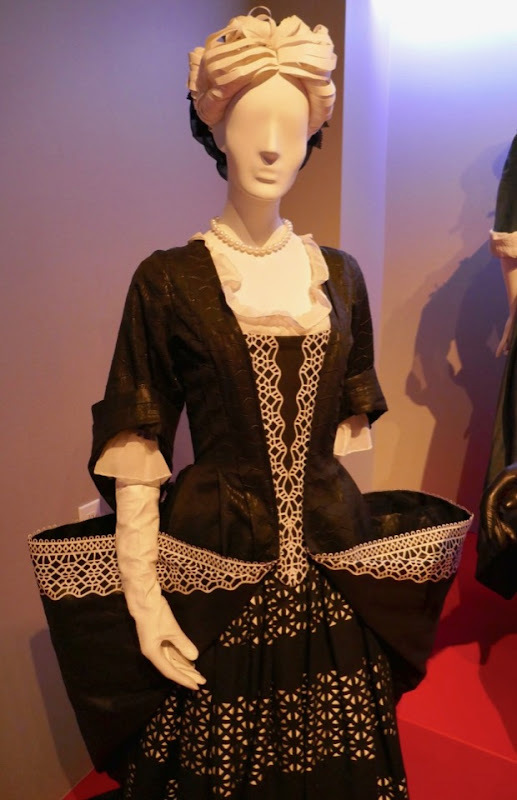 Fans of the actress can also check out her La La Land film costumes, her movie costumes from The Help, her Battle of the Sexes movie costumes, her costume from The Amazing Spider-Man 2 and her car and dress from Gangster Squad on display. 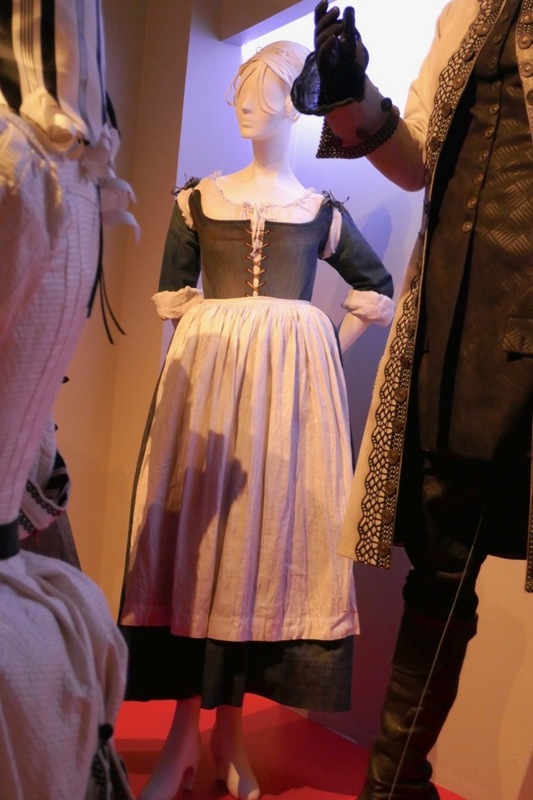 Lady Sarah is the trusted advisor and secret lover of the Queen (even though she is married) and she practically runs the country in the Queen's stead, whilst England is at war with the French, but she falls foul of her younger cousin's ambitions and social climbing. 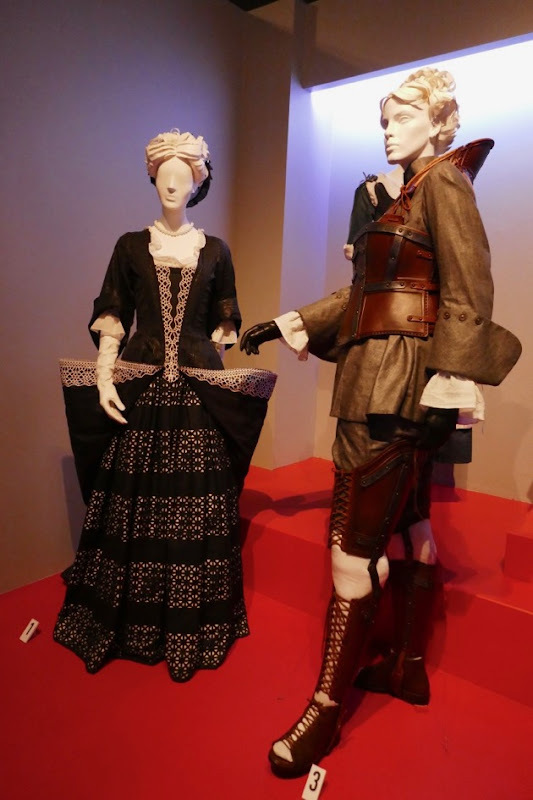 If you like the shooting costume worn by the BAFTA-winning actress in the film, Rachel Weisz fans can also take a look at her fabulous gowns from Oz The Great and Powerful, her Snow White Dream Portraits costume and her costume from The Mummy movie. 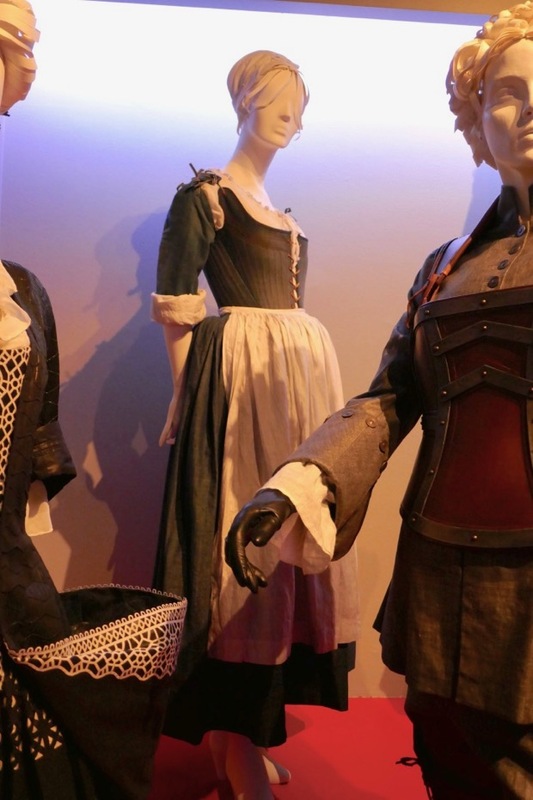 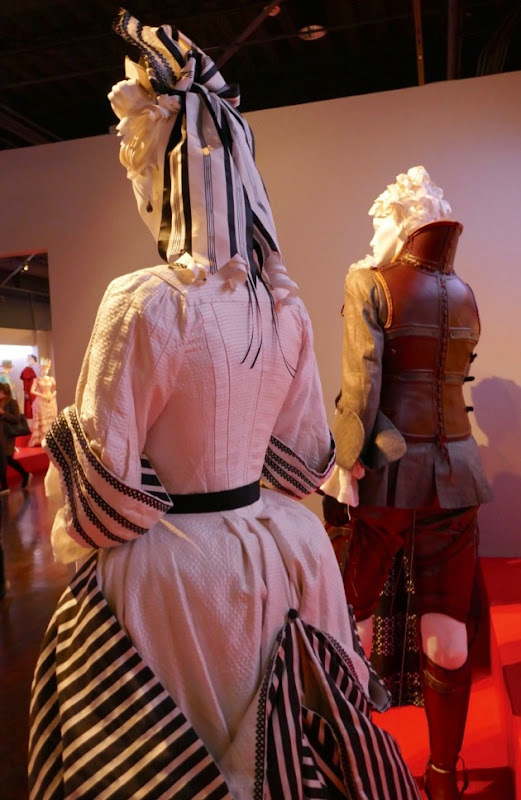 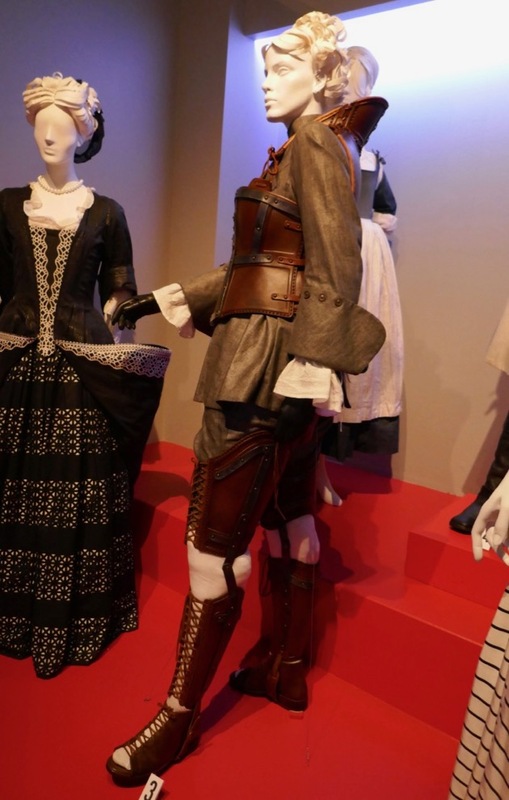 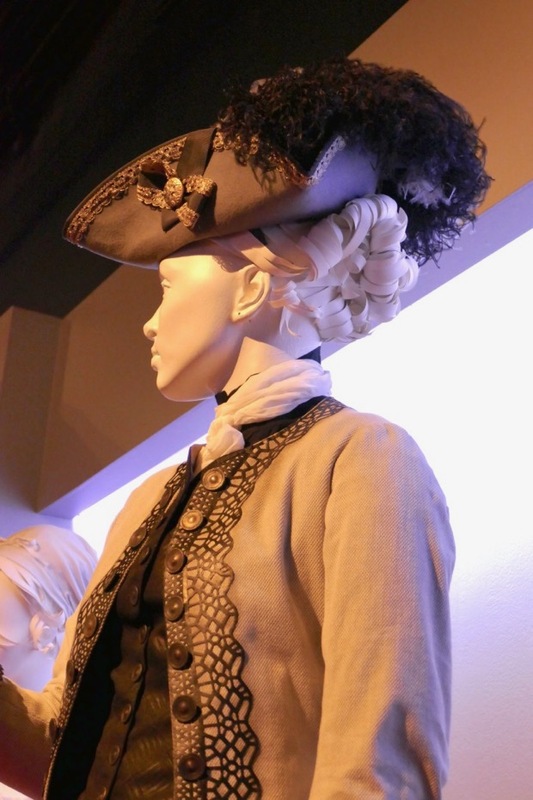 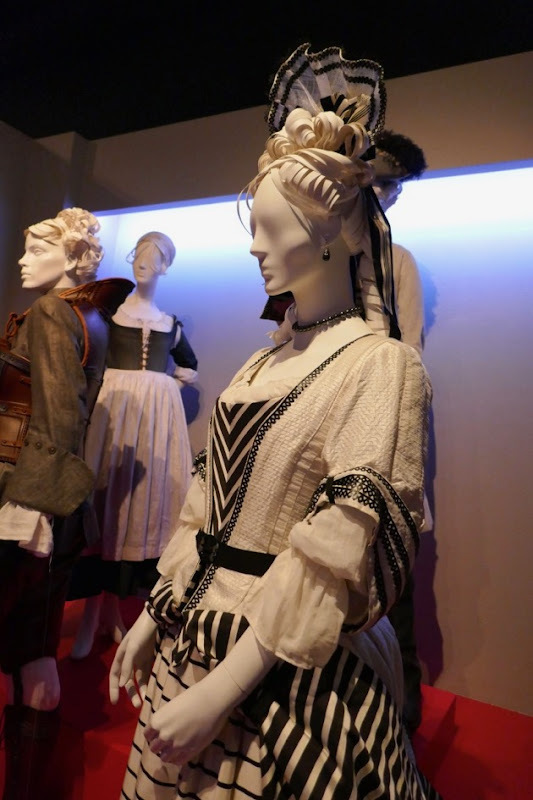 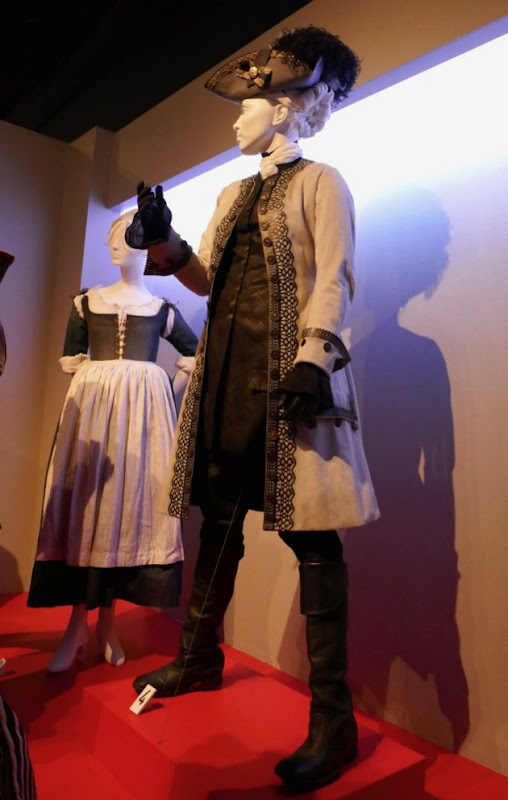 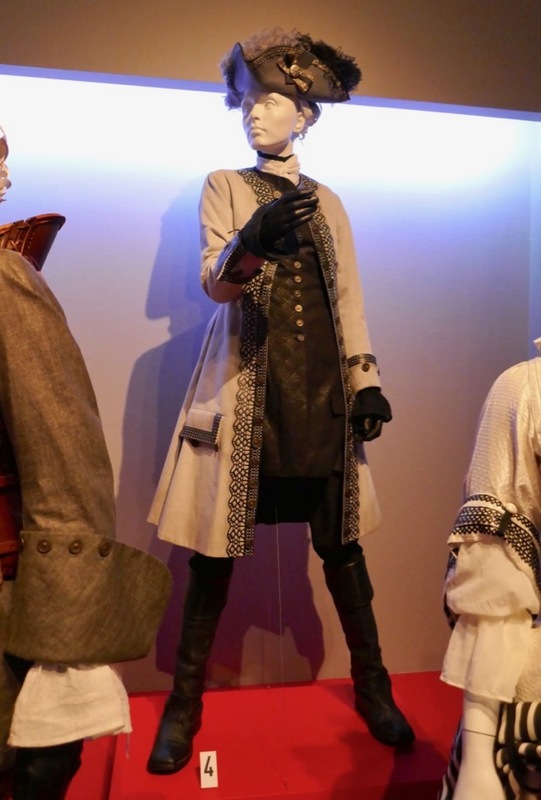 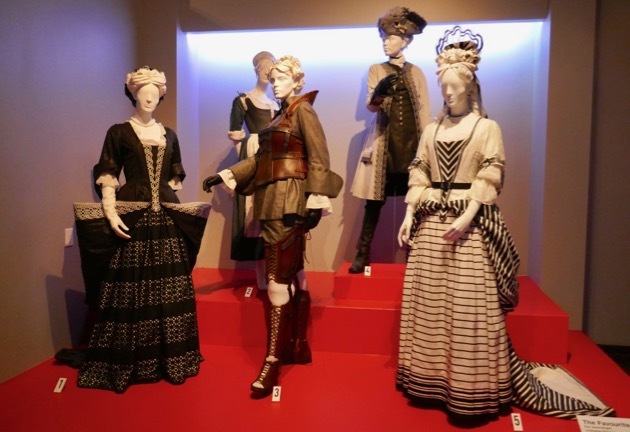 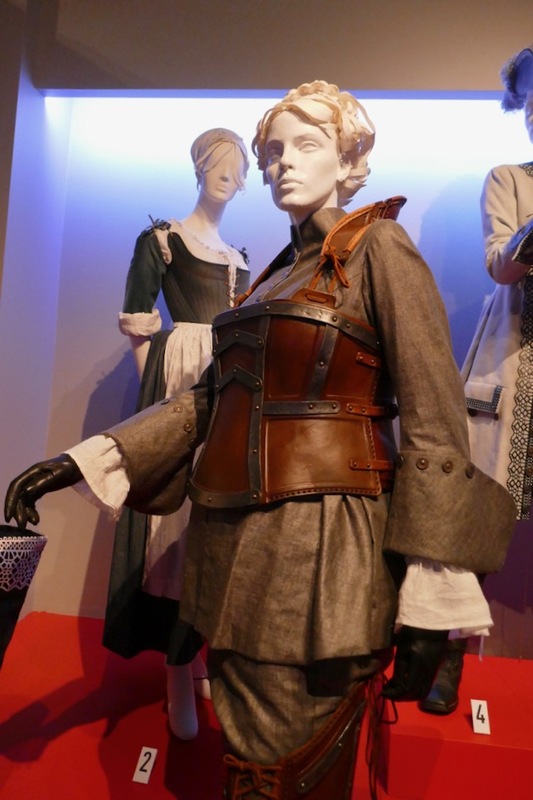 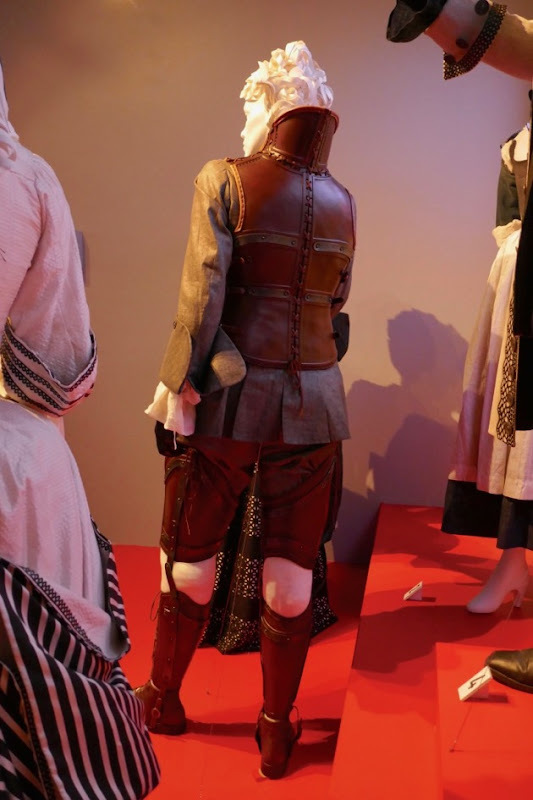 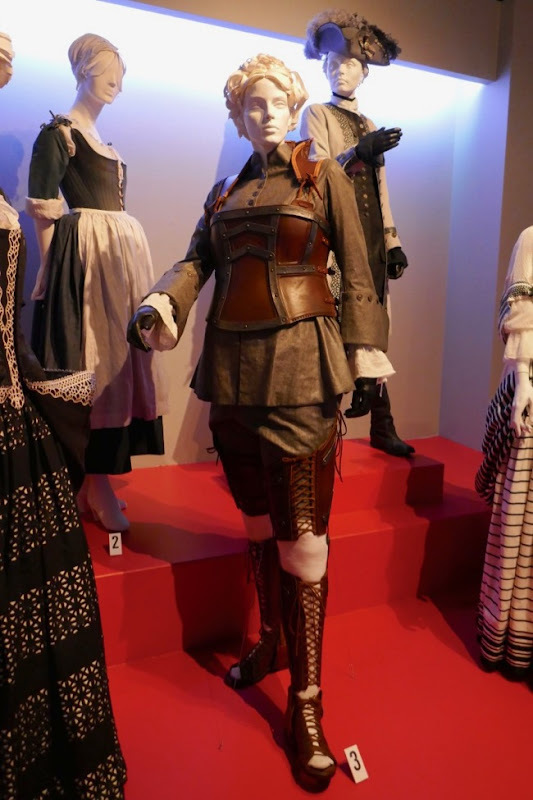 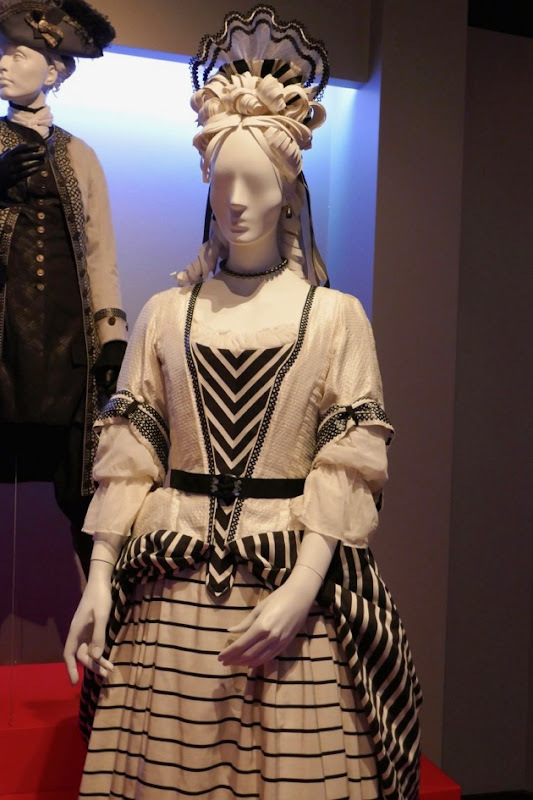 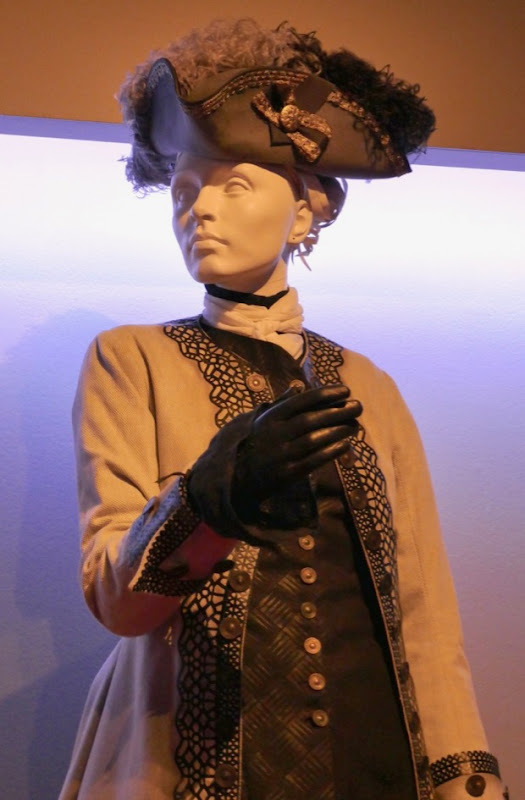 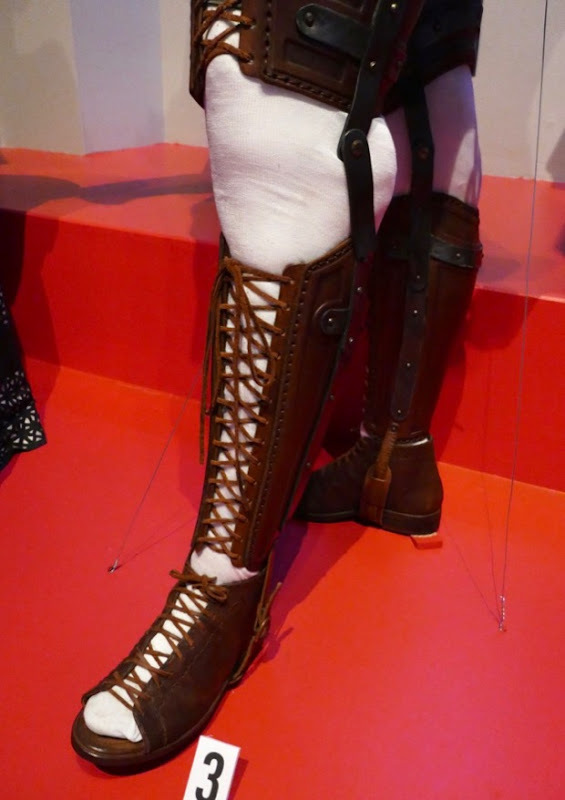 These BAFTA-winning movie costumes were really impressive to see up close and in person, and out from behind any kind of reflective display case, and they are certainly deserving of their Oscar nomination. 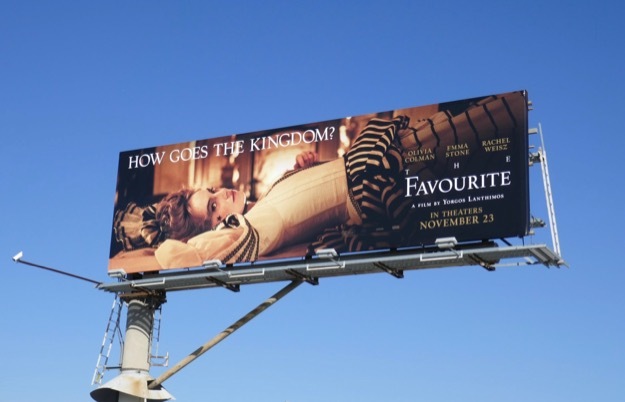 Let's see who wins out of these and fellow nominees Mary Poppins Returns, Black Panther, Mary Queen of Scots and The Ballad of Buster Scruggs on February 24, 2019.